Danielle is a Senior Behavior Analyst at CCSN. Danielle received her masters degree in Science in Applied Behavior Analysis & Autism from The Sage Colleges and is a Board Certified Behavior Analyst (BCBA). She holds a certificate in Organizational Behavior Management from Florida Institute of Technology. Prior to coming to CCSN, she provided clinic and in-home behavior analytic services to children and adolescents with Autism Spectrum Disorders. 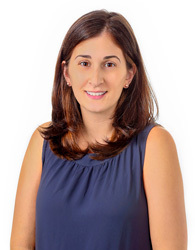 She is a professional member of Behavior Analyst Leadership Council (BALC) Berkshire Association for Behavior Analysis and Therapy (BABAT) and Connecticut Association for Behavior Analysts (CTABA).